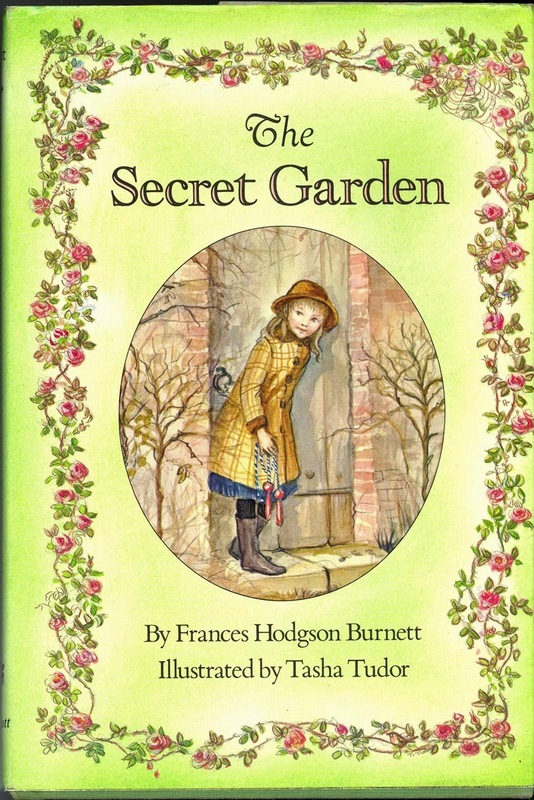 Much as I identified with the tortured hero of Dr. Seuss’s I had Trouble in Getting to Solla Sollew, the first book that touched me to the core was The Secret Garden, by Frances Hodgson Burnett. I was fortunate in my choice of a British mother, who read aloud with the correct Yorkshire dialect, making sense of all the tricky apostrophes and altered vowels. Why wasn’t the world more beautiful to me? I searched the back of my closet for Narnia; twice I dreamed of secret chambers hidden in the oak footboard of my bed; I jumped off ladders with an open black umbrella; I dressed in pink, hid in an alibaba, and tried very hard to become a genie/fairy named Ella. Still, it seemed the magic wasn’t for me. Mary Lennox’s life was lonely, colorless, and miserable until she discovered her secret place, the walled garden where things unloved and forgotten lay dormant, waiting for love to make them bloom. Miraculously, Mary found this otherworldly place in the mundane world. The idea that such things were possible was a heart-expanding, mind-blowing notion for me. I had a crush on Dicken for his gentle way with people and nature. I felt sisterly affection for Colin both in his tantrums and in his getting better. This hidden place where children both healed the earth and healed each other’s physical and emotional wounds was profound. In elementary school, I didn’t have the words or concepts for what I felt, just a sense that this story was very profound and very important. I love walled gardens. I love secret niches and low ceilings and cozy places. I love places we can call our own, make our own. I love microworlds where we can find peace and truth and healing.